That is the million dollar question,and really, there is no one “best tyre”. 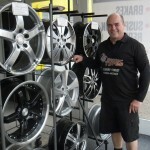 Finding the right tyre for any customer is about a number of things such as, the type of vehicle, the owner’s driving style, the road surfaces on which they normally travel, the distances they drive and of course their budget. Your friend, neighbour, or family member may have found the perfect tyre for them, however it may not necessarily suit your circumstances, so ask a tyre expert. Tell them what you are looking for from your tyre in respect of mileage, comfort level, grip in wet and dry conditions and road noise etc and also how much you can afford, we love it when people ask for our help. If you are still not sure which tyre to go for try this….. “the best tyre for you, is the best tyre you can afford”….. don’t skimp on tyres, they are the only thing holding you to the road, and the better quality tyre you might be considering may just save your life one day. Achieving good wear from your tyres is directly related to how well you look after them. Like most products, tyres respond to a bit of maintenance, so keeping your eye on your tyre pressures regularly can make a huge difference to how long they last. Tyre pressure is also a critical factor in how well the tyre grips the road, just check out any race car team to see how fanatical they are about tyre pressure to ensure their driver has optimum grip and tyre life. We are often asked what the correct pressure is, the answer to that varies according to the vehicle, the size of the tyre and the load the vehicle is carrying. The “Tyre Placard” which is attached to all vehicles is a good guide or you can call in and ask us, we are happy to help in that regard. We are also happy to check your tyre pressures for you if you visit our store and ask, it is also a good idea to have your own tyre pressure gauge in the car as some service station gauges can be notoriously inaccurate. Don’t forget to check the pressure in your spare as well, the last thing you need is a flat spare when you are on the side of the road with a puncture. Tyre pressure can also have a dramatic effect on fuel economy. If your tyres are low in pressure the rolling resistance of the tyre is greatly increased, this means your engine works harder to push tyre tyres along the road thereby using more fuel. Many of today’s tyres are specifically designed with low rolling resistance to help save you money in fuel, so ask about that when you are checking out tyres for your vehicle. We do not use or recommend nitrogen in tyres for individual vehicle owners. Nitrogen in tyres is a good idea in some circumstances, large truck fleets for example gain a benefit via less low pressure running which enables them to reduce tyre wear and improve fuel economy. Because it is denser than normal compressed air, nitrogen is less able to leak out of tyres and therefor tyre pressures remain more stable. The problem with this for the individual car owner with nitrogen in their tyres, is that they assume they are now immune to leaks, and are encouraged to not check their pressures regularly. Nitrogen does not make your tyres puncture proof, so if you are not checking pressures regularly, you may destroy a tyre because you did not realise it was low. Also because it is not widely available, should you require your pressure adjusted, you will most likely end up somewhere that only has compressed air. Now your nitrogen is contaminated and no longer effective, or you may end up with three nitrogen filled tyres and one with compressed air. It is also common for service centres to charge for nitrogen while compressed air is normally free. Regular tyre rotation is another important factor in good wear, all vehicles will benefit from rotation at 10,000klm intervals, but it is crucial for front wheel drive vehicles. Rotation spreads the work load on the tyre caused by the driving and steering inputs of the vehicle so that all tyres wear at the same rate. Wheel alignment is also an important factor in even tyre wear, there is nothing more frustrating than seeing half of a tyre wasted because it is worn on one shoulder. There is no definitive answer as to how often a vehicle should be aligned, we have some customers who can go 40-50000klm without adjustment and others who could almost have an alignment every month, it depends on the vehicle, the condition of the roads on which it travels and how much care the driver takes at avoiding pot holes and gutters etc. The best advice is to check your tyres for signs of uneven wear when you are checking your tyre pressure (ideally every month) and then ask your tyre professional to review the situation at rotation time. If you have the misfortune to hit a gutter or large pot hole, you may need to have your alignment checked, particularly if your vehicle starts pulling one way or your steering wheel is no longer straight. If you are unfortunate enough to have a flat tyre or a tyre that slowly deflates over a period of time, you should have it attended to as soon as possible. There are many causes for a leak but we have never seen one yet that got better by itself. If your tyre is low in pressure, or worse dead flat DO NOT BE TEMPTED TO DRIVE ON IT, re-inflate it or change it for your spare. If you drive on it, the chances are high that you will cause irreparable damage to the tyre (no we can’t just put a tube in it) and you will be up for a new one (no it won’t be ok to use as a spare). Wherever you choose to have your tyre repaired, make sure that repairer takes the tyre off the wheel to check it for damage before re-fitment to the car, at Better Tyres we don’t recommend the use of puncture fill products or push in from the outside style plugs. We firmly believe your tyre must be checked by an expert to ensure it has not been structurally damaged by either the original injury, or by running on under inflated or flat. This can only be done by removing the tyre from the wheel and checking inside, this is to guarantee your safety not just to charge a few extra dollars. Motor vehicles can be like members of your family… a constant source of frustration and expense, many things can go wrong with your pride and joy and it’s sometimes difficult to know how to fix them. Here are some of the common symptoms we encounter and the correct operation to solve the problem (we can’t help you with your family). “I have a vibration in the steering wheel when I put my foot on the brakes”…This is a problem with your brakes, usually caused by the brake rotor being unevenly worn. The normal fix is to machine the rotors or replace them if they have reached minimum thickness, you will often have to replace the brake pads as well. Balancing the wheels will not help. “My car pulls to the left, or, less commonly, the right” … This one can be tough, sometimes it is just the road camber causing this, sometimes it can be as simple as low pressure in one of the front tyres, quite often people assume it is a wheel alignment problem, but simply adjusting the wheel alignment is not always the whole fix. If the front tyres are unevenly worn they can cause a perfectly aligned car to pull one way, the tyres may need to rotated to the rear or even replaced. “My car vibrates when I’m driving at a certain speed” … This normally indicates a problem with the wheels and or the tyres. Usually vibrations under 80kph originate at the front, higher speed vibrations are quite often coming from the rear although there are exceptions to these rules, so always have all four wheels checked. A good workshop will check that wheels are not buckled and that tyres have no non uniformity, as well as checking and adjusting the balance. If you suddenly pick up a vibration after you have been on a wet dirt road you may have mud stuck in the back of the wheels throwing the balance off, try hosing it out, but make sure you wait until the brakes cool down and don’t continue driving until the brakes are dry again. 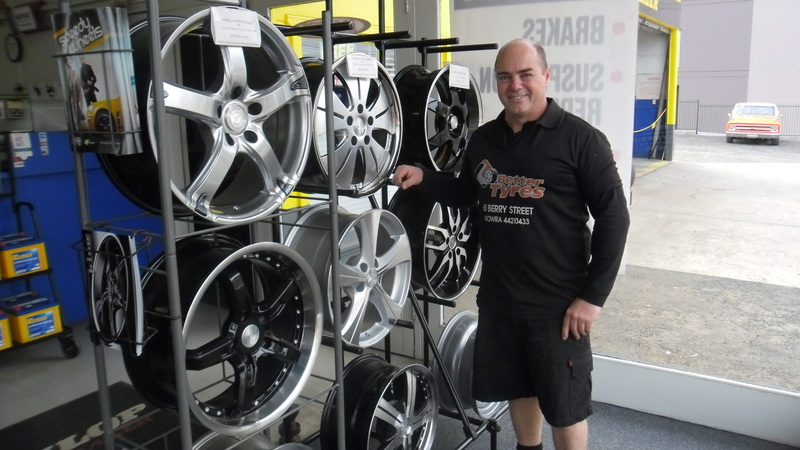 Many aftermarket alloy wheels are not a neat fit on the vehicle’s hub and require a hub centering ring to align the wheel squarely onto the vehicle, if these are missing a vibration can be caused because the wheel is not centred. If your wheels have these rings you must take them off before you fit the original spare otherwise the wheel will not go all the way onto the hub and may come loose. Sometimes low tyre pressure can contribute to a vibration, whatever the reason for your vibration it WILL NOT be cured by a wheel alignment. 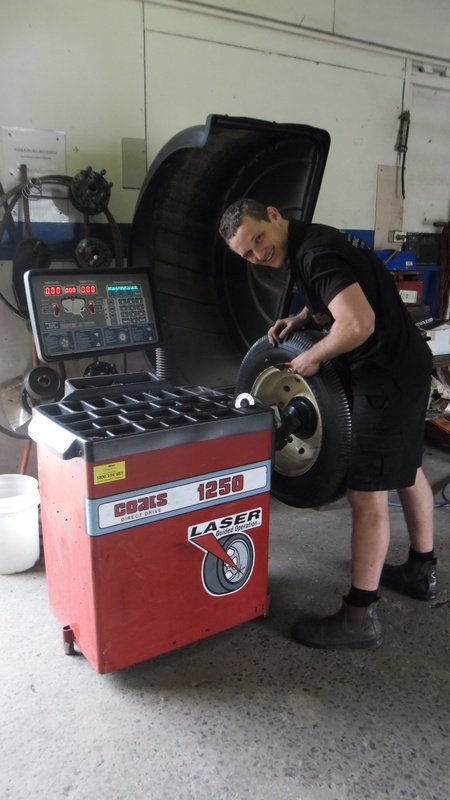 “My tyres are noisy” … Tyres do generate noise as they make contact with the road, this is directly related to the nature and condition of the tread pattern as well as the tyre casing. Everyone would have heard some 4WD vehicles driving down the road with aggressive mud terrain tyres howling so loud you can’t hear the radio. If you choose an aggressive tread pattern for your car or 4WD you should expect to hear some extra road noise. Also if you allow your tyres to become unevenly worn through bad alignment, incorrect tyre pressures or worn mechanical components, you may notice an increase in road noise. You can tell the difference between a noisy tyre, which will change pitch on different road surfaces, and a faulty wheel bearing which maintains a more constant noise level on any road. We hope that this information is of some help to you, it has all come from thirty years of experience in this business, of course there are many other questions you may have or problems you may need solved, please feel free to call us or drop in for a chat. At Better Tyres we really do want to help.